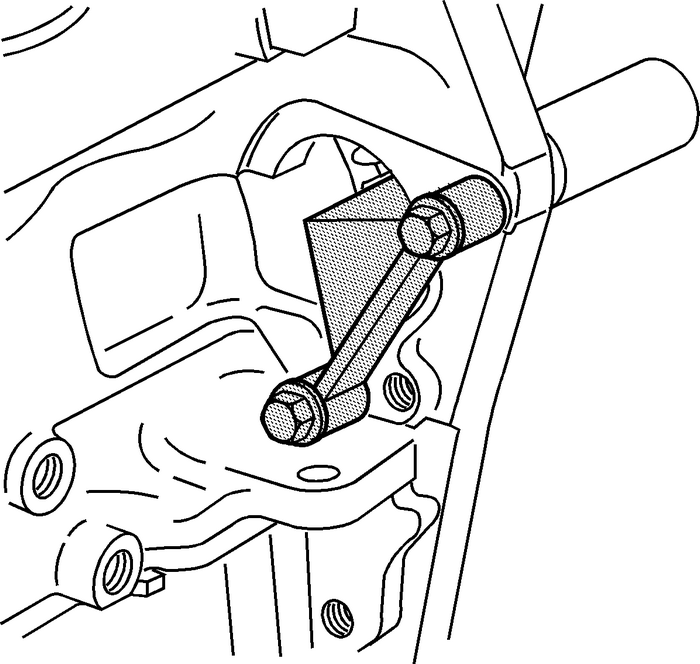 Install the EN 46106 tool through the starter mounting hole. 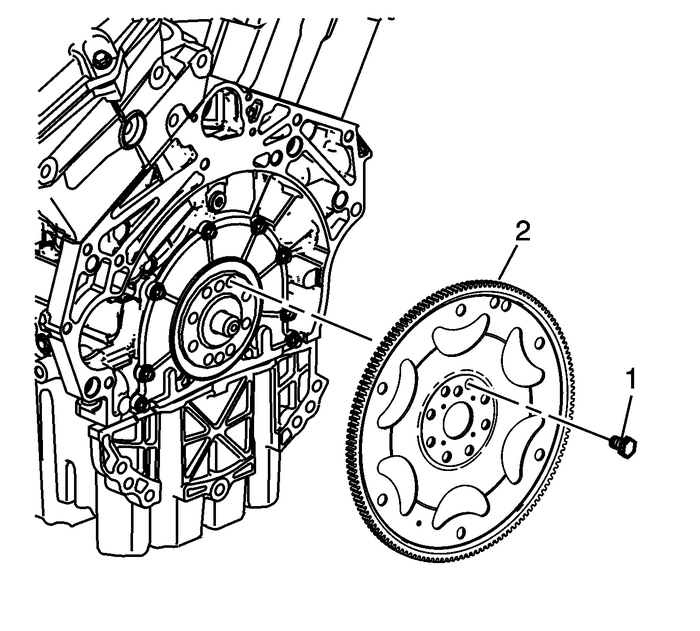 Remove the flex plate bolts-(1) and discard.Remove the flex plate-(2) from the crankshaft. Remove the EN 46106 tool.